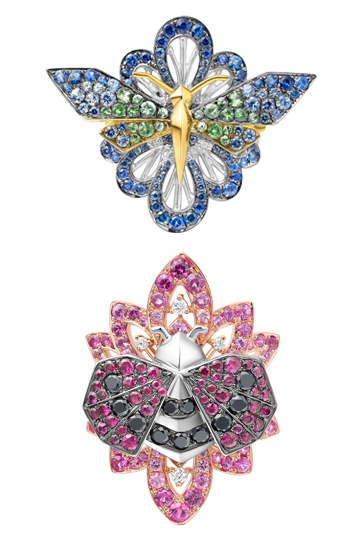 Hong Kong based fine jeweller, Sarah Zhuang, introduces Fantasy Garden, a playful and versatile collection for the modern woman. 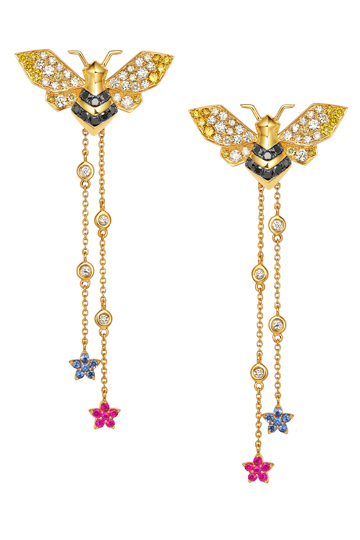 Queen Bee, Ladybird, Madame Butterfly, Dragonfly Goddess and Baby Beetle are the characters within the collection, each delicately hand-crafted in 18K gold and a rich palette of coloured sapphires. The woman who wears Fantasy Garden is adventurous, curious and outgoing; she loves the thrill of a new experience, she loves having freedom in her life. This collection draws inspiration from insects fluttering freely in the wind, their lives are filled with unexpected adventures. Each category includes five insects as the main pieces, as well as three decorative pieces with the themes of Water, Leaf and Flower. 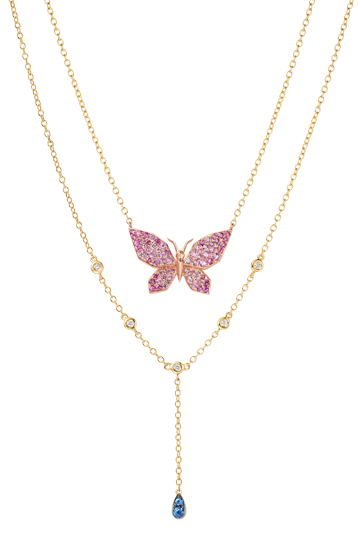 The main pieces can be worn alone or interchanged and embellished with a decorative piece to create a unique look. Discover Sarah Zhuang’s collections at www.sarahzhuang.com or Kabiri. Select pieces are also available at Harvey Nichols’ Talisman Gallery, London.